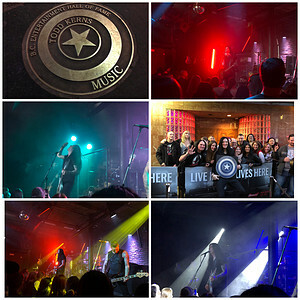 On Saturday October 20th in front of The Roxy on Granville Street, Todd Kerns became the newest inductee on the BC Entertainment Walk of Fame. Vocalist, songwriter, producer, player of numerous instruments and all around nice guy, Todd is an incredibly accomplished musician, currently on tour with Slash and part of the Canadian band Toque. Post-induction, Kerns performed a 3 hour set in front of a sold out crowd as numerous guest musicians / friends joined him for a song or two. He provided his fans with an unforgettable, unique musical experience.